Thinking about graduate school? Seriously consider getting involved in scholarly activity outside of class to get practice and boost your application. Improve graduate school applications: Entry to grad school is extremely competitive. Graduate faculty look for students with research experience, who are ready to work on their projects from day 1. I benefit as well by obtaining much needed help, but establishing relationships with students and witnessing their academic and career success is also very rewarding. Over the years some of my students have gone to doctoral programs and become researchers in academic, industrial, and policy settings as well as faculty. Some examples of student co-authored presentations and publications appear at the bottom of this page. What am I working on? How might you help? Research studies: Some of the topics I've examined over the last two decades are here. Currently I'm working on a project examining alcohol use and vaping in emerging adulthood into adulthood. 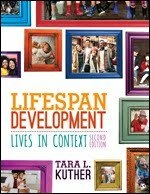 Research support: I write developmental psychology textbooks. Research assistance is essential. Tasks might include looking for new literature, reading my chapters for clarity, pointing out when additional examples are helpful, and helping to develop examples, cases, or questions. My ability to tell an admissions committee about your searching, reviewing, analyzing, and writing skills - as well as that I trust you with my work and have found your assistance useful - will be invaluable to your application. In addition to my projects, you can speak with me about researching your own interests. Independent study: Sometimes students and I develop joint projects. Or students come to me with ideas that we together shape into a student’s research project. Guided reading: A guided readings course is one that you and I design together. It is intended to give you the opportunity to study a specific topic in depth (e.g., the midlife crisis, cognitive development, cyber-bullying are examples of recent student courses). Frequently students will complete a guided readings class in order to devise research questions that they later address in independent studies. If you're interested in obtaining experience in any of these areas, speak with me - stop by my office or email. Burnell, K., & Kuther, T. L. (2016, June). Positive and negative perceptions of midlife. Eastern Psychological Association, New York, NY. Monzillo, V. & Kuther, T. L. (2015). 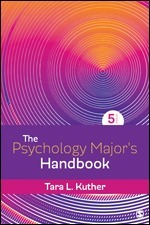 Test bank to accompany The Psychology Major's Handbook. Pacific Grove, CA: Cengage. 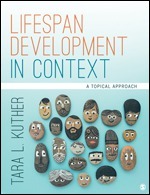 Burnell, K. & Kuther, T. L. (2015, October). Identity development and well-being in emerging adults. Poster presented at the annual meeting of the New England Psychological Association, Fitchburg, MA. McDonald, E., & Kuther, T. L. (2004). Early adolescents’ experiences with, and views of, Barbie. Adolescence, 39(153), 39-52. Kuther, T. L. & Posada, M. (2004). Minor matters: Children’s capacity to provide informed consent for research participation. In F. Columbus (Ed. ), Advances in Psychology Research. Huntington, NY: Nova Science. McDonald, E. & Kuther, T. L. (2003, March). Coverage of ethics in child psychology textbooks. Poster presented at the annual meeting of the Eastern Psychological Association, Baltimore, MD. McDonald, E. & Kuther, T. L. (2003, March). Stereotypes of adolescence: College student views. Poster presented at the annual meeting of the Eastern Psychological Association, Baltimore, MD.